DiAnne was an absolute delight to work with. She understood what I was looking for an guided me to homes that I never would have thought to look at and actually liked. I absolutely loved DiAnne's humour and how she had a motherly vibe. She was perfect for a first time home buyer and I would love to work with her again. Our agents were very friendly and knowledgeable, and went well out of their way to get us the house we wanted. We were first time home buyers, and knew very little about the process, but they made the whole experience quite effortless for us. They worked tirelessly from our first meeting, right up until the deal was done, and we would highly recommend them to anyone, whether it's your first home or not. Buying a home for the first time can be very scary. We had no idea how the whole process worked. Thankfully we had the most amazing agents. Corinne and Dianne were incredible in taking us step by step through the process. They were in contact with us on a day to day basis which really shows their loyalty and dedication to their clients. After viewing many disappointing properties, Corinne and Diane refused to give up, they promised that they would find us the perfect home; and they did! 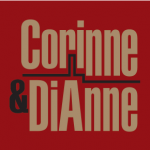 I highly recommend anyone to use Corinne and Dianne as their agents. They want what is best for their clients and will stop at nothing to get it. They care about their clients and connect with them. Real-estate is their passion, not just their job. They helped us find the perfect home in a very short time frame! we could not be happier with out experience. I will recommend them to everyone that I know.